Night life – Traveling Epic! 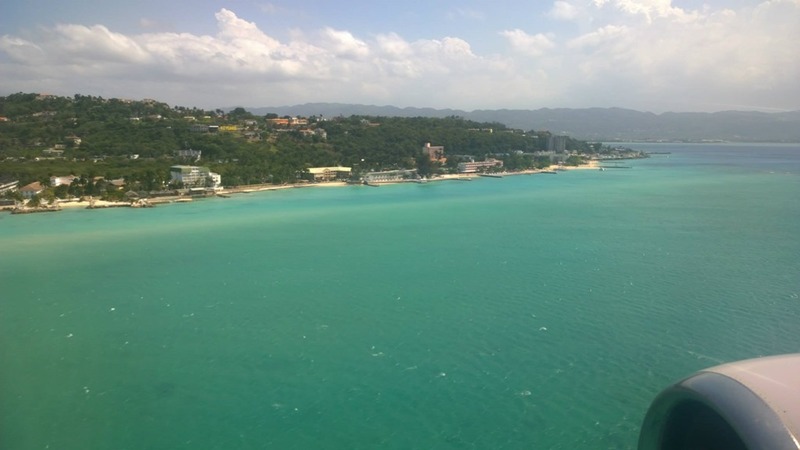 I flew into Montego Bay (a fairly cheap flight from the east coast of the US), and while I had some commitments for work, I arrived early so I could see one of the most amazing islands in the world. World Famous Jamaica!!! Known for Bob Marley, Music, the Reggae movement (read more in my other Jamaica post on Reggae Jamaica), the amazing people and rich culture of friendly people. What an incredible island with so much to see. If Jamaica is a quick stop, you have to focus on what you can fit in. I understand that. I was luck to spend time in both sides of the island and see the best of Montego Bay, Ocho Rios, and Kingston. I hope this post gives you some great ideas of what to see and what to do! First off let me tell you all of the bad things I heard that were so wrong! – I heard it would be dangerous for me and I should be really careful cause people would try to cheat me. So wrong… Don’t believe everything you hear! There were a few things that I learned for travel tips that I’ll cover at the end of this post. 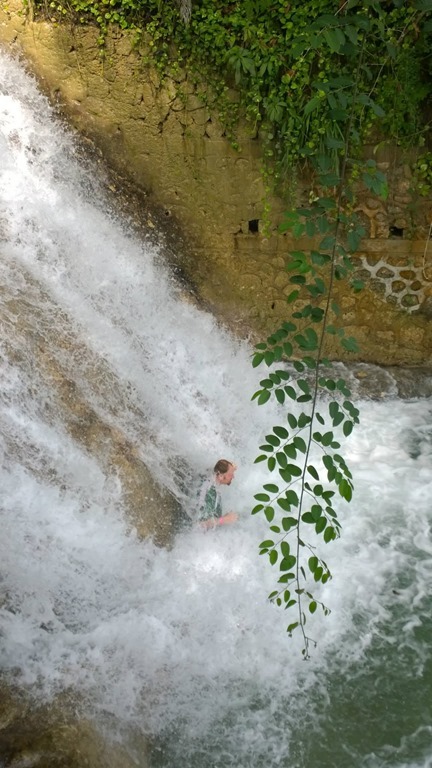 A few words of caution, but for the most part, I was so glad to embrace Jamaica and not be afraid. The people were amazing! If you love history, you’ll love Rose Hall. If you love romance, architecture, tours… you’ll love Rose Hall. 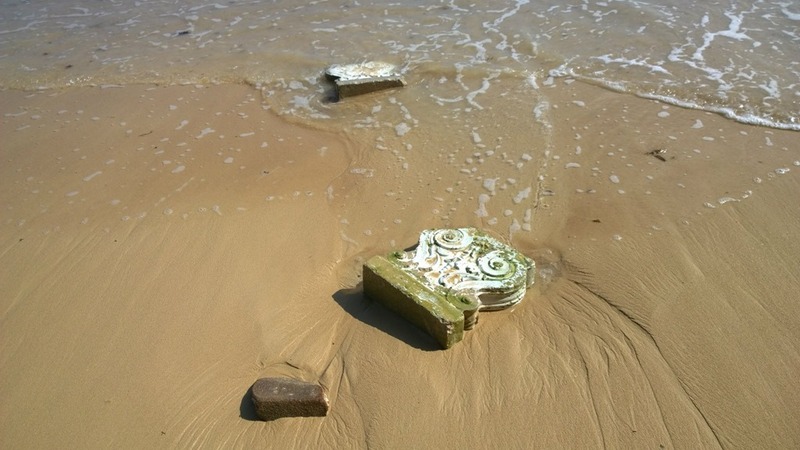 There is so much of the story of the island and it’s history that is locked up in the history of Rose Hall. 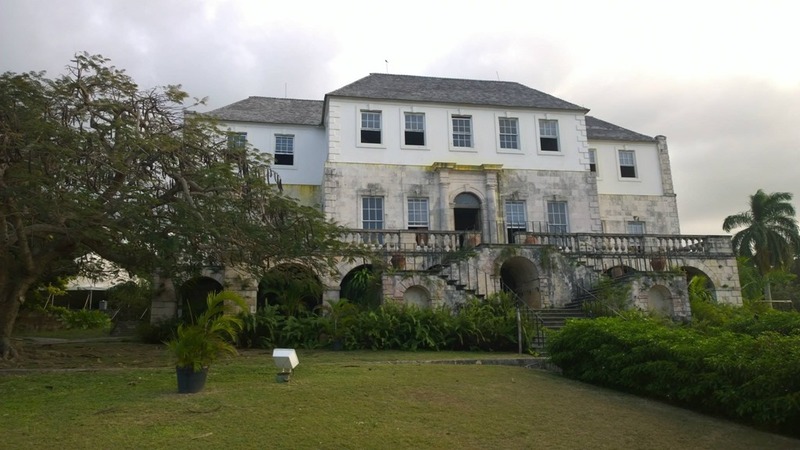 As the first real attraction just 15 min outside of Montego Bay, I was happy to have made Rose Hall my main investment of time the first night I arrived. Rose Hall is one place during the day, and another during the night. In the night you can tour the great house by candle light. Constructed in 1770 the owners had over 2000 slaves and was one of the many great houses that existed. It is one of the few on the island that remain. During slave revolt most of the great homes on the island were destroyed. The history here is one of VooDoo and murder and the story of Annie the white witch as seen on World’s Scariest Places, and Ghost Hunters International. It was $20 USD to visit the hall. I found most of the attractions to land at about $20. 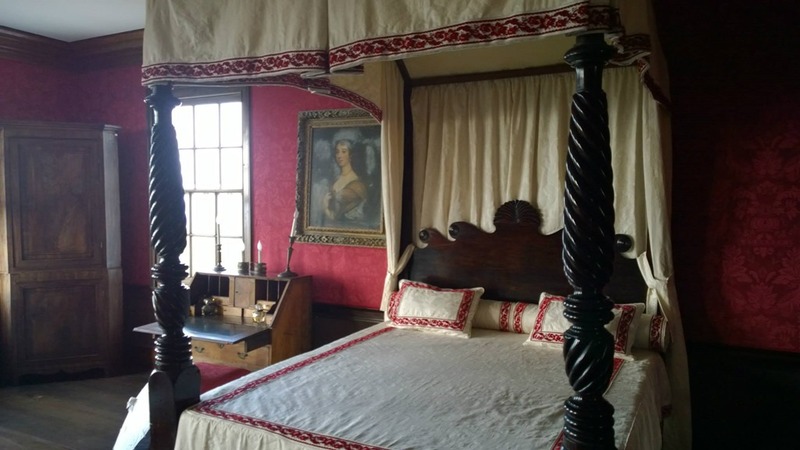 The bedroom of Annie Palmer. Who murdered all of her husbands and lovers. 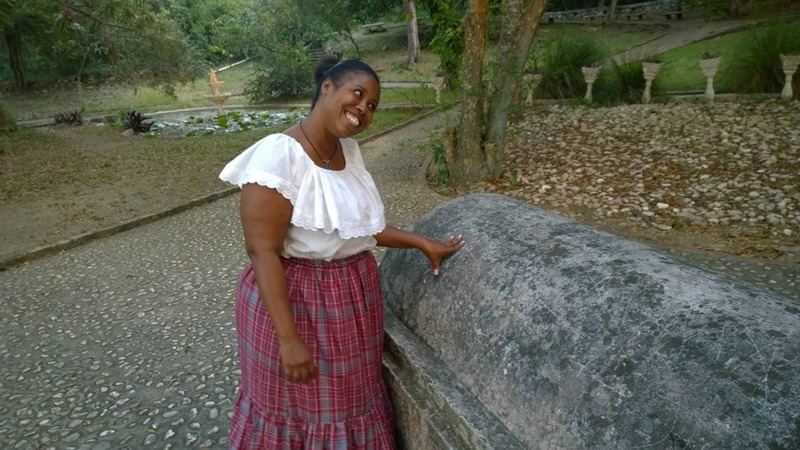 The Tomb of Annie Palmer… Listening to a story from our adorable guide in period dress. You can read more about the tours at Rose Hall on their website RoseHall.com. As far as spending money, we really didn’t even need to exchange our money. Every place we went took both Jamaican dollars and US Dollars. In fact, we were getting a better rate by using US Dollars as the money I exchanged at the airport was a worse rate than I was getting on the street. Paying with US dollars worked great. 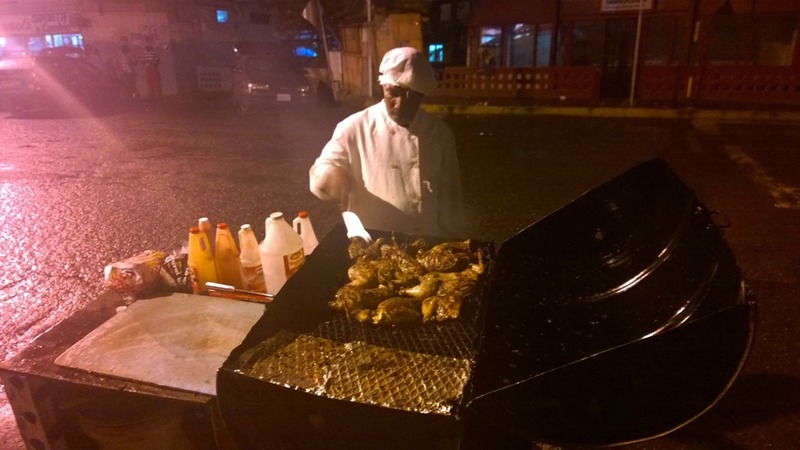 Jamaican Jerk Chicken cooked right on the street. Some are spicier than others. None of them were as spicy as I was expecting, but you could add your own Scotch peppers to kick it up! 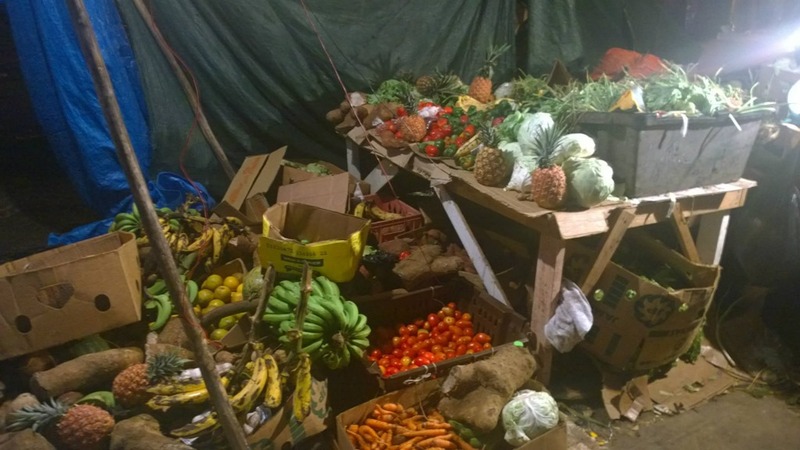 The fruit of the night market. For the most part the night market was one for the locals. 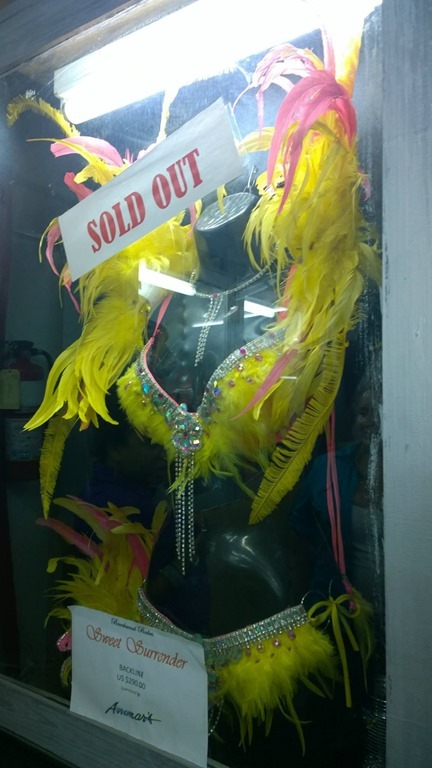 We really didn’t see any tourists as we visited the stalls and walked around Ocho Rios. I think many were surprised to see us as so many of the travelers simply stay on their resorts, especially at night. We had plenty of folks who wanted to show us around. While I was fine doing my own tour, we stayed out pretty late… 1am and didn’t mind spending some time really getting to know some of the locals and hearing their stories. 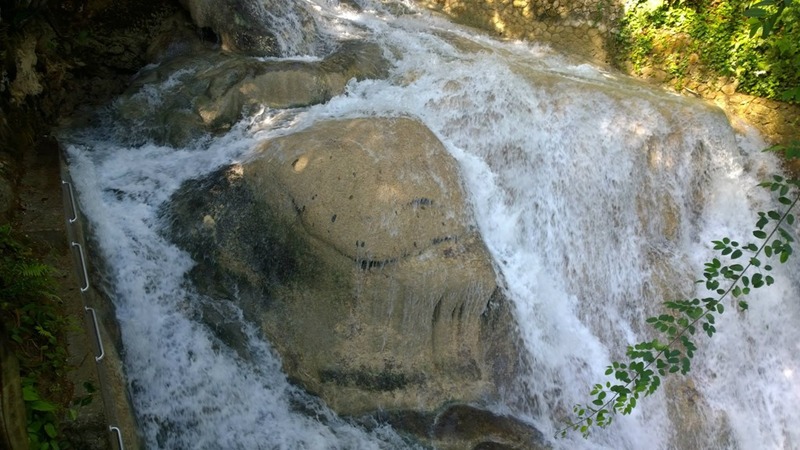 One of the most beautiful on the island, but one of many amazing waterfalls on the island. 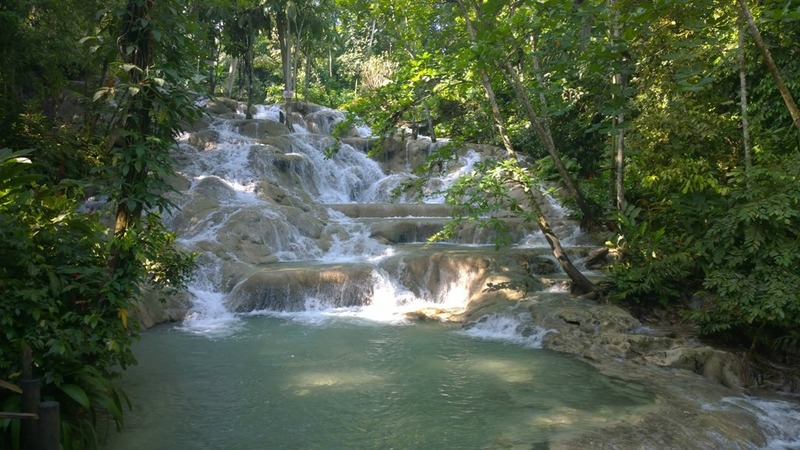 Dunn’s River falls is famous across the island. You can either bring your own water shoes or rent some for fairly cheap. I learned on another trip that climbing with socks gives you pretty good grip. So I hiked the falls in my socks and it worked just fine. I really enjoyed the hike up the falls. It was only as extreme as you made it. It costs $20 for adult foreigners enter the falls park. There were easy paths to climb. I would have been fine with my boys climbing it and may just have to bring them back soon. The falls lands right into the beach. Beautiful beach. Since we weren’t on an organized tour we arrived early and had the entire beach to ourselves. Amazing turquois waters including a life guard and a roped off area to help you know the area that’s safe and protected. Of course, I tested the boundaries and even stood up on an old pier and jumped out into the beautiful waters. Beautiful sandy beaches. So much warmer water than I’m use to on the West Coast of the US. You can see the hand holds here on the left. I climbed the falls trying to take a medium difficulty route that I made up on my own. You could hire a guide to follow. I found that to be unnecessary. It wasn’t challenging, it was fun. I did try to put myself into some challenging positions. Having arrived early, I had the falls to myself. One of my friends took pictures from a viewing area on the side. Lot of great pools, and amazing waters. This is a wonder of the island and one that should be appreciated. I understand there are different falls in the interior of the island and this one while it does have a local price for the islanders, they end up going to different falls. While we were on our way back to Ocho Rios, we saw the signs for Mystic Mountain. I’m a fan of ziplines and canopy tours, and still had fresh memories of my time in Costa Rica. It was a beautiful day and I felt like we had a little time to go. 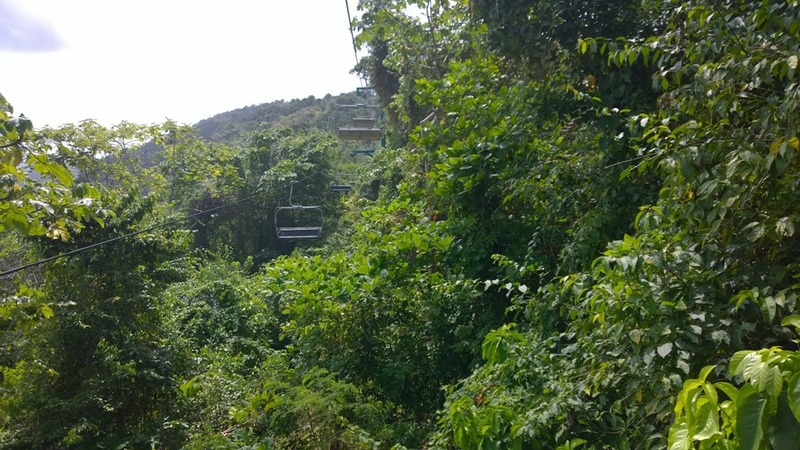 So we decided to do the Sky Explorer which would take us through the rain forest on a chair lift (like a ski lift). We also took the bobsled ride. We were limited on time or we likely would have done the full package. Honestly it was a bit pricey, but I’m sure it took a lot to put this together and while it was my intention to avoid the touristy areas, I felt like this allowed me to see and enjoy a lot in a short period of time. The Bobsled theme was pretty cool as well. We did find a moment to relax and enjoy the beautiful humming birds. Fantastic colors. If you end up doing this, I highly recommend slowing it down and enjoying nature and soaking up the rainforest and all it has to offer. The adrenaline rush of the bobsled ride and zipline is awesome, but be sure to slow down and relax. That’s really an important thing to realize that Jamaica is about. Enjoying life and appreciating what you have. 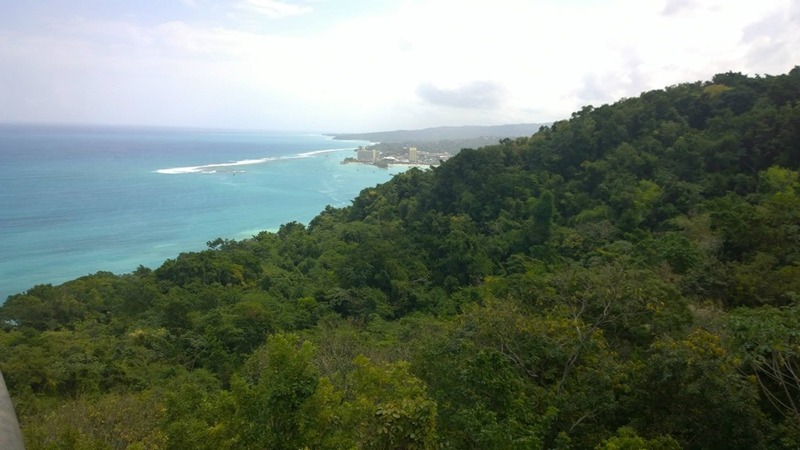 Beautiful views from the chairlift of the amazing waters, beaches, and Ocho Rios off in the distance. Floating slowly over the tops of the trees on the chair lift. Up the road from Ocho Rios is a truly mystical place. Talking of taking a moment and enjoying nature… As the water would come in and go back it would swell and shoot up like a blow hole spraying a fine mist. We stopped here for lunch at Oracabessa. Momma took care of us. 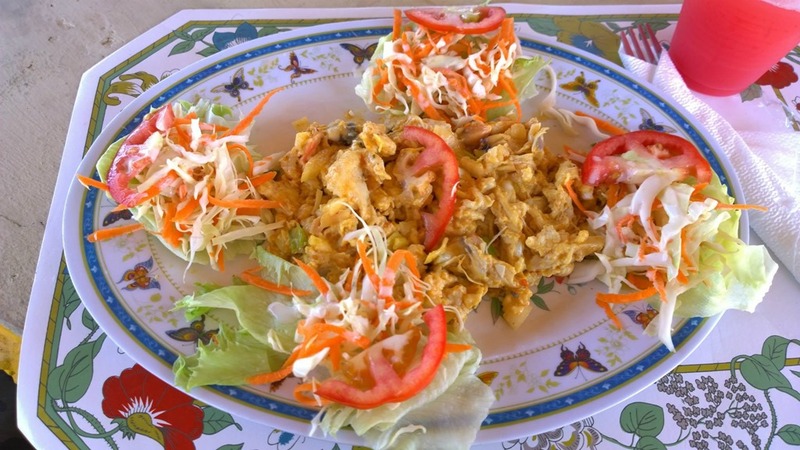 Incredible seafood, fish, and more. I included a few photos. This is what you see from the road. 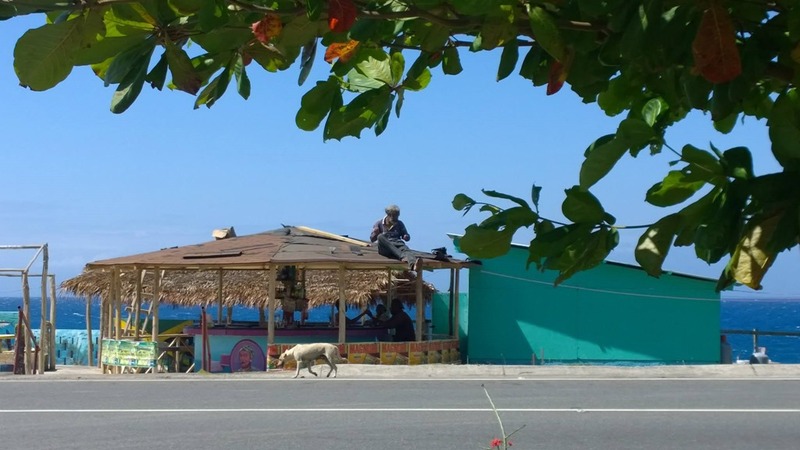 A fun Jamaican reggae guy was working on the roof of the place, but we went further over next to the cliffs. 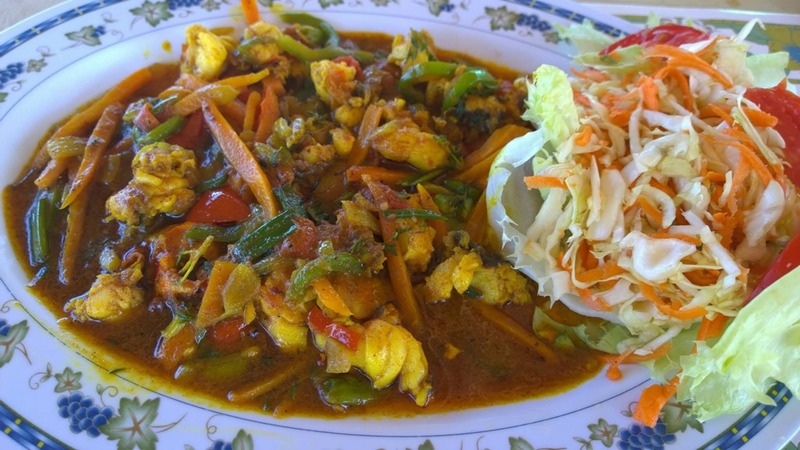 Dishes you have to have while on the island after you eat the Jerk Pork and Jerk Chicken is… Curry Lobster, and bonus points for Ox Tail, and Curry Goat. 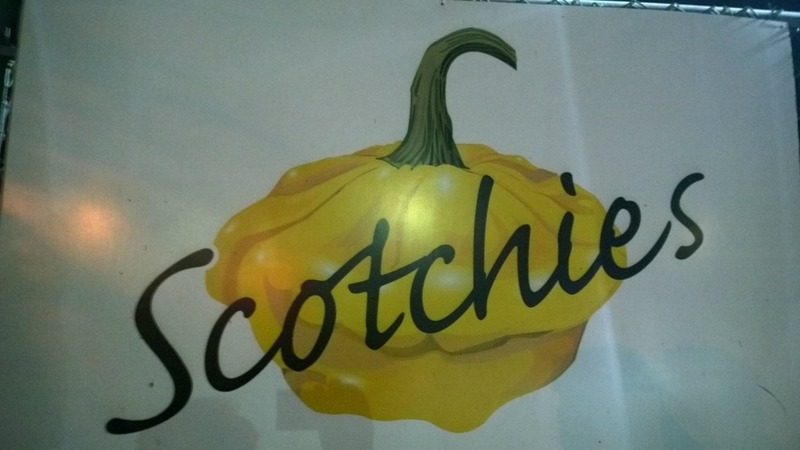 My Favorite Jerk Chicken on the Island is Scotchies… I ended up eating there in Montego Bay (the original) and in Kingston (in the bar area). There’s another near Ocho Rios, maybe others!? 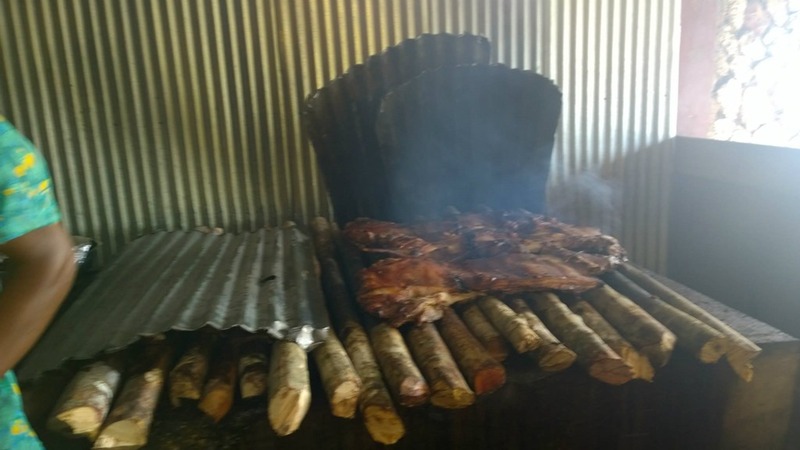 Thursday is ribs! But you can get the chicken and pork every day. Go for the pork! It’s the best, but the Jerk Chicken is famous. You can tell it’s real by the corrugated tin. 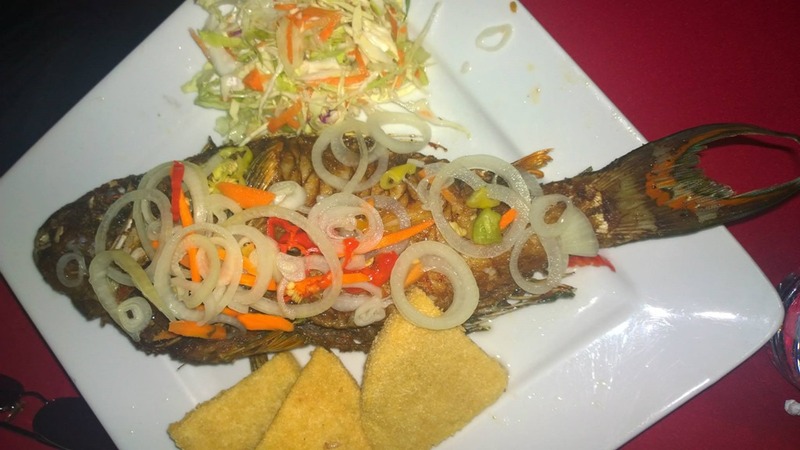 We also ate at M10 in Kingston, a local place with great music and great food, and especially great seafood! Great ginger beer as well. Now for something that most travelers and tourists would miss. 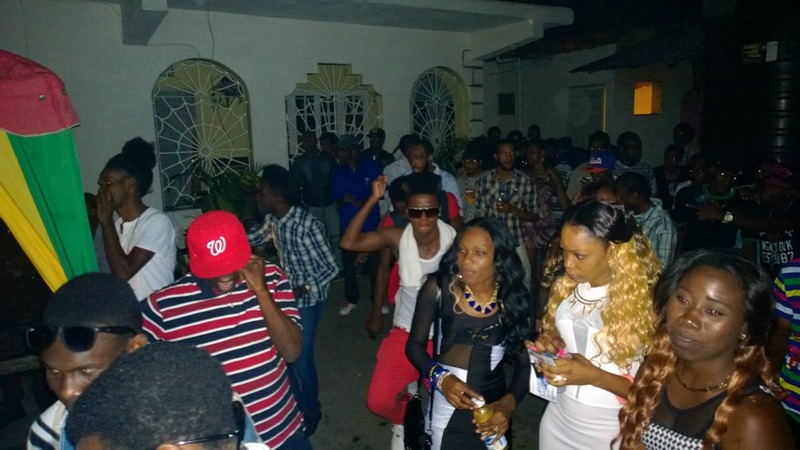 Though a friend we tracked down a party that was going on in one of the neighborhoods in Kingston. It seemed like it was going to go on all night, we ended up leaving at 4AM and the DJs were just changing to start a new set. One other night we happened to be in Kingston for Mas Camp. It’s basically practice leading up to Carnival. Carnival dancer at Mas Camp with a couple of my friends. 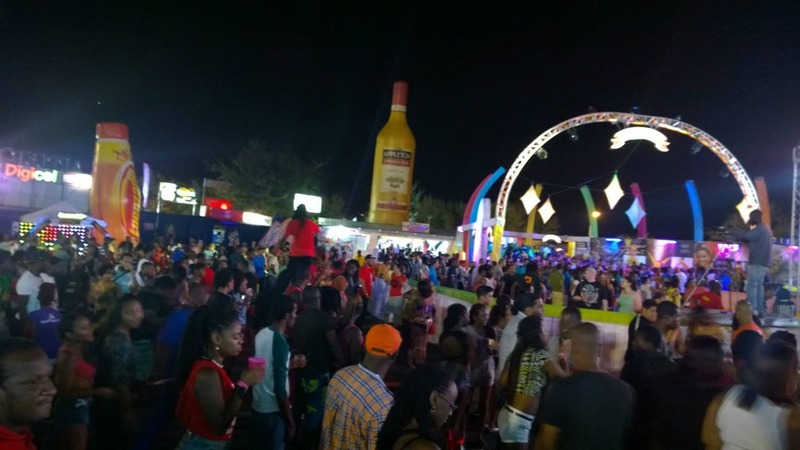 High energy dancing… Kingston is where the best music and entertainment is on the island. I didn’t see any tourists at this event. While I did end up staying on the island for 4 days, the first 24 hours of just soaking up the island was so incredible. I had an amazing time. I did mention that I drove across the island and spent more time than is spent in this post. 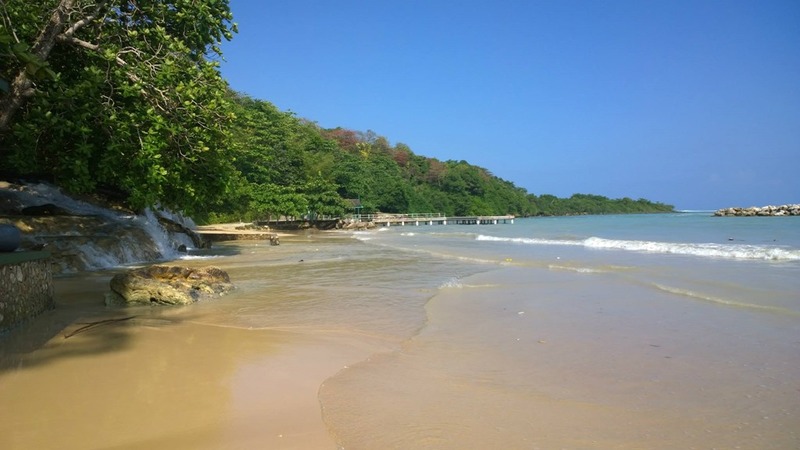 Refer to my post on Bob Marley’s Jamaica and Reggae tour to see what else I saw with my time on the island. I do want to give you some balance to what else you’ll find on the island. We did find a few hustlers and people begging, but for the most part when we asked them to leave they did. It wasn’t as aggressive as other islands or even close to what I’ve seen in much of Africa. This was less than what you’d see in big cities in the US. Don’t be so afraid to venture out of your all inclusive resort. Don’t believe the stories. Experience it for yourself. There is still some corruption. I was pulled over by the police twice. The first time, I got a warning to slow down. There are basically two speeds on the ring road. 50 KM and 80 KM. The police were usually hanging out where it would transition to the slow speed and they’d be on the side of the road with their speed guns waving people over. By the time you see them or recognize, you’re likely going too fast. The second time I got pulled over, I got a different answer. The policeman asked me if I wanted to find a way to settle this. He asked me to be subtle, but to take the papers back to the car and put some money in it. Didn’t tell me how much. I think we ultimately put in about $10 and he didn’t even look, he just put it in his pocket and told me to slow down. I also got booted once. The guy was wearing a blue shirt. Everybody knew it was the guy in the blue shirt who was the one that booted the cars that weren’t suppose to leave their cars there. We were stopping to get our tickets before taking the car back and it looked like others had left their cars parked for a few minutes, but ours was the one that got the boot. $20 later, I was on my way. No other real problems. I grew up in Idaho and so I’m use to passing cars on two lane roads. What was different was the need to slow down a bit when people didn’t allow enough time when passing. It was much better driving than I experienced in Italy or especially than Naples, so I really can’t complain about the driving practices. Seemed pretty normal to me. There are some pretty narrow roads which go across the island, where you really need to be on watch. In Kingston itself there are the early numbered streets like first street and fifth street and streets around Trench town that certain streets aren’t designed to be through streets that don’t have the road blocks on the GPS or on the maps. For the most part you don’t need to be in there. Make sure the GPS is sending you to the actual street you’re looking for, some times it would fail to find it, but default to somewhere else and that’s where we’d be driving in strange roads, but for the most part, I enjoyed the challenge and the people were great. I would not compare Jamaica to most of the African villages. It’s one of the best islands in the Caribbean (easily one of my favorite) and the industry is really up and coming. The businesses and people really deserve your support. I see Jamaica as a great place to do outsourcing and a great place to work with hard working happy people. 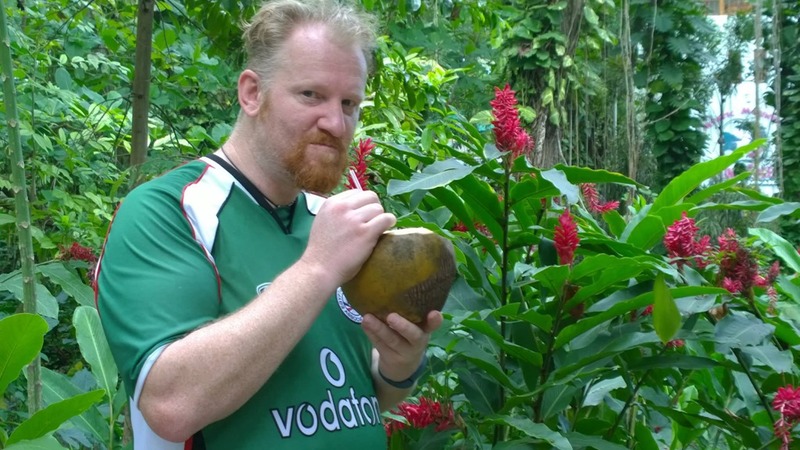 Fresh coconut for $2 USD… Yes, Jamaica is paradise. 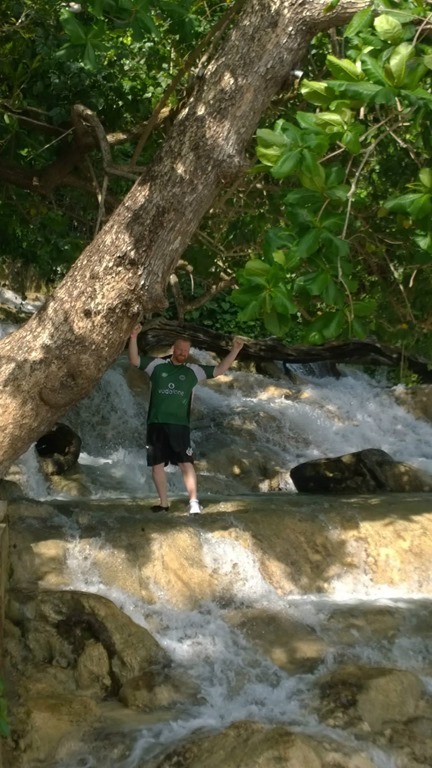 While this photo catches me right after I survived climbing the Dunn’s River waterfall and isn’t flattering it shows off a bit of the natural beauty of the island. What an amazing place. Can’t wait to get back so I can go to the other parts of the island…. 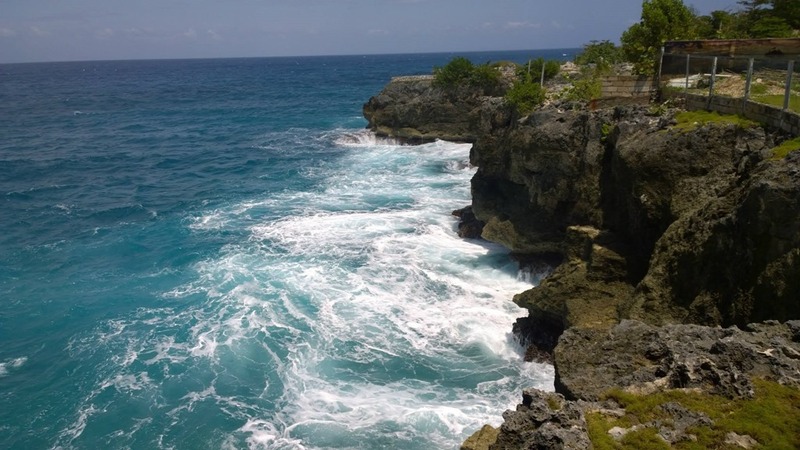 Negril and Blue Mountains and so much more to see!